REMANUFACTURED BY A PRODUCTION REBUILDER WITH OEM PARTS AND TWO YEAR WARRANTY*.- PLUS FREIGHT AND $6,000.00 REFUNDABLE CORE DEPOSIT. NON-EGR ENGINE: DDEC 3 OR 4 | IN STOCK - DYNO TESTED � READY TO GO, COMPLETE DROP-IN LESS: STARTER, ALTERNATOR, FAN HUB, AC COMPRESSOR, PS PUMP. *WARRANTY DETAILS: 1st Year / 100,000 Miles - FULL PARTS REPLACEMENT WARRANTY 2nd Year / 200,000 Miles - LONG BLOCK COMPONENT PARTS REPLACEMENT WARRANTY. 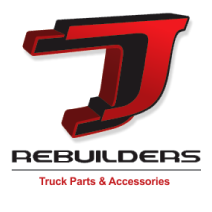 .WITH ALL ENGINES, THERE MAY BE SOME CHANGEOVER REQUIRED: BUYER AND / OR INSTALLER IS RESPONSIBLE FOR ANY MODIFICATIONS, ALTERATIONS, OR CHANGEOVER TO ENGINE AND WILL NOT BE COMPENSATED BY HEAVY QUIP INC. dba DIESEL SALES IN ANY FORM. 1997 Detroit Series 60 12.7 Liter Diesel Engine, 470HP, 0 Miles on Overhaul. All Complete and Run Tested. $16,995.00 with Exchange.